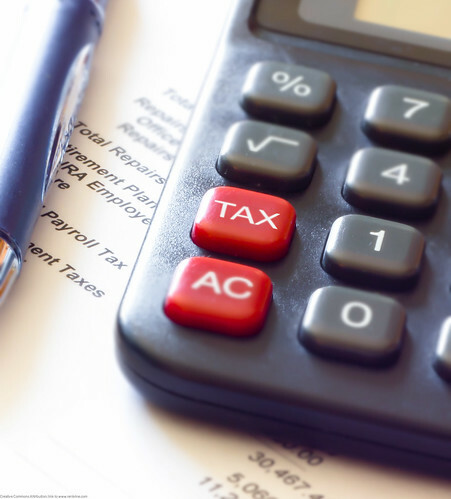 Coping with the Alternative Minimum Tax | ALMEA Insurance, Inc. The Taxpayer Relief Act of 2012, enacted in January 2013, raised the AMT threshold (also called the AMT exemption) and indexed it for inflation. The threshold for the 2012 tax year was raised to $78,750 for married couples filing jointly and $50,600 for single filers. From one point of view, the AMT seems benign. It has only two tax brackets, with rates of 26% and 28%. For all but married couples filing separately, the 26% bracket applies to all taxable income up to $179,500, with 28% the levy above that mark. For couples filing separately, the cutoff is half that amount, or $89,750. But the key to the AMT, and what makes it so effective at raising more tax revenue, is that it exposes more income to these rates. It does so by requiring taxpayers to recalculate their taxable income by adding back numerous deductions. If your adjusted taxable income exceeds the applicable exemption amount, you have to calculate your AMT liability using the alternative brackets. If the sum total of AMT tax is higher than it would be using the regular income tax rates, you pay the higher amount instead. Increase your charitable donations—if you itemize, they’re not added back ino your AMT taxable income. Postpone exercising incentive stock options, or if you do, sell the stock you receive at the same time. If you’re a business owner, maximize allowable business deductions. Please call to discuss how these changes will affect your situation.